Kitchen as the core of the apartment… soft tones against marble, wood and linen. 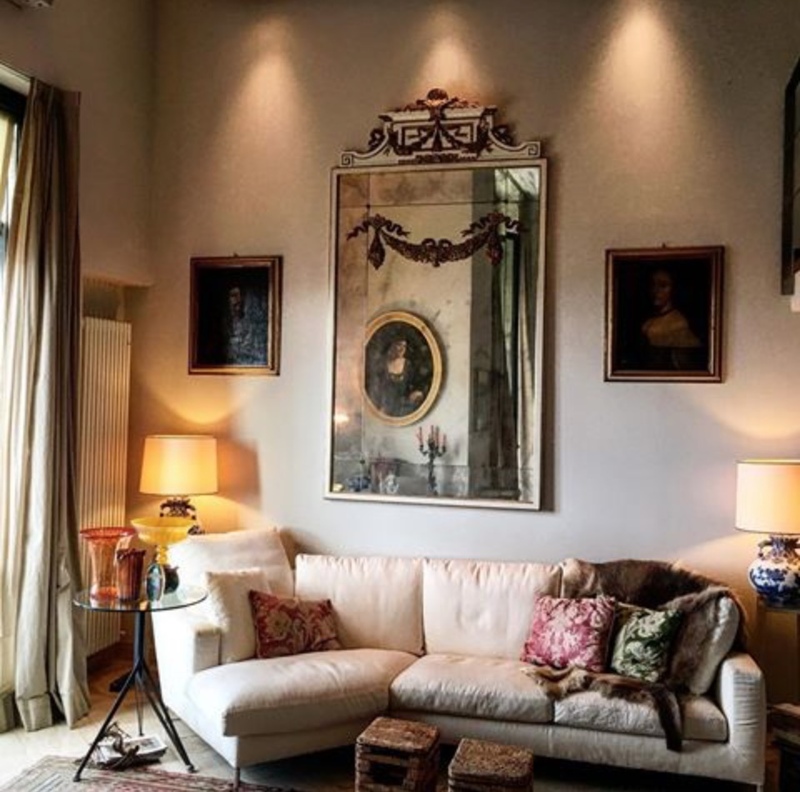 A vacation apartment in a reconditioned late 19th Century villa above the resort town of Alassio on the Italian Riviera. The central feature of the 1,300 square foot spaces is an open-plan Kitchen & Sitting Area. 2 BR’s/Baths and sunny Loggia Living Room revolve around this core. Views of the the villa’s restored botanical gardens, the city of Alassio and Mediterranean Sea beyond. Click here to see the Villa Fiske Gallery. The majesty of antiques & contemporary… glass, linen,fur, silk, nylon and porcelain. A complete conversion from an office into an 1,800 square feet two level loft apartment in an historic 30’s building right at the Old Port of Genoa. The building was originally intended to be a 5 Star hotel for passengers disembarking from ships docked at the ship’s terminal across the street. Minimal details, soft taupe paint color and Travertine flooring, allows the views out the 25 foot high windows of the city’s port and iconic symbol, La Lanterna, to take precedence. Click here to visit the Amba Alagi Gallery. Click here to see the Amba Alagi Gallery. Medieval stones dominate… disguising the houses within. 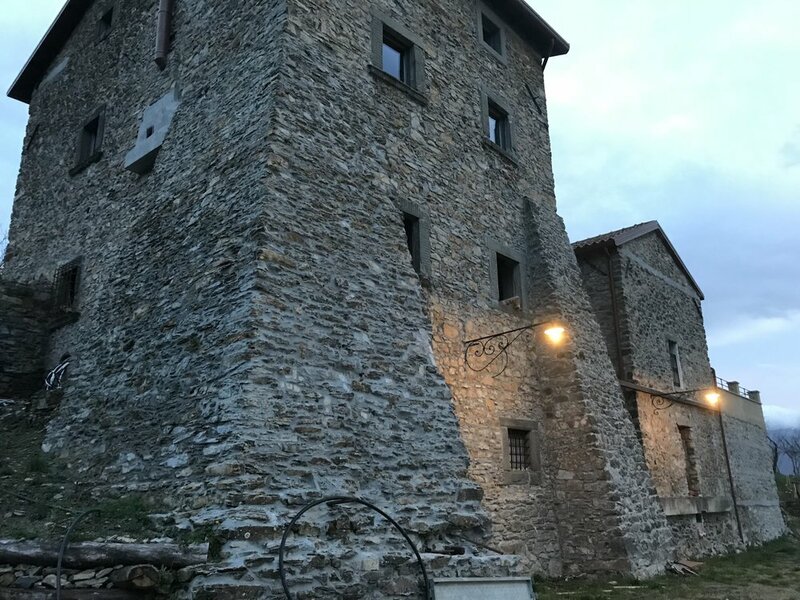 A 4 year project to totally rebuild & modernize an 800 year old Tuscan farmhouse in the small historic village of Codiponte nestled in NW Tuscany, the Lunigiana. Its history began as a stone lean-to against a castle’s walls eventually growing into a compound of houses surrounded by a vineyard. 3 houses in 1: La Casetta, La Casa Grande and L’Appartamento Azzurro, each with distinct in decor & color palette and each with separate Entry, Kitchen, heating, BR’s & Baths, plus access to the re-constructed terraced garden now with olive & fruit trees. Click here to see il Poggiolo Gallery. A hay barn transformed into an intimate and charming weekend holiday retreat for an English family. The villetta’s construction was followed by the addition a pool and a rustic flower-filled garden planned with the help of a landscape architect. Later in 2017, a Studio/BR was added and in 2018 a shack turned into a rather hip Guest Cottage in B&W and Beige. Click here to see the Villetta Biancan Gallery. A very large project. A Medieval tower re-built into a Main Apartment for its owners, a 3 BR & Baths Guest Apartment, a separate 3 BR & Bath Guest Cottage and a Studio with a Commercial Kitchen, Lounge and retail space below. Antiques are mixed with contemporary pieces, and a smattering of flea-market finds for added decor. La Fortezza is surrounded by 27 acres of woods, a vineyard and newly planted olive trees. Click here to see La Fortezza Gallery.